As parents, we all want to ensure that our children develop and maintain a consistent oral hygiene routine that will continue into adulthood. At Walden Family Dental Care, we will include you fully in a dental care program designed to help you take care of your children’s dental and oral health, including how to teach your child to brush and floss in a way that is fun and enjoyable. At Walden Family Dental Care, we believe that it is important for children to begin their dental experience at an early age, which is why we follow the recommendation made by the Canadian Dental Association for children to have an assessment by a dentist within six months of the eruption of the first tooth or by one year of age. 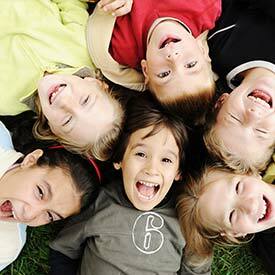 Call us at (403) 460-2200 to book your SE Calgary Children’s Dentistry consultation us today!